This advanced powder formulation contains a concentration of essential elements for maximum efficiency and economy. In powder form, there is no loss of strength or cleaning power. 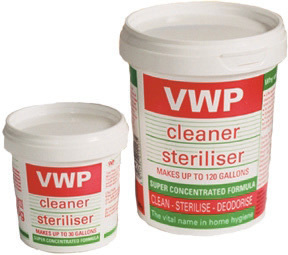 A small amount of powder, dissolved in water, becomes a powerful cleaner, stain remover and steriliser.